Today I am extra thrilled to host one of my best longtime and real life friends, writer and visual artist Barbara Schlund. We met many years ago as American Studies students at the University of Munich, and ours is the kind of friendship we both cherish because it has endured and supported us through all the changes in our lives and across thousands of miles. I took a picture and mailed it to my dear friend Annette, but she was not satisfied. 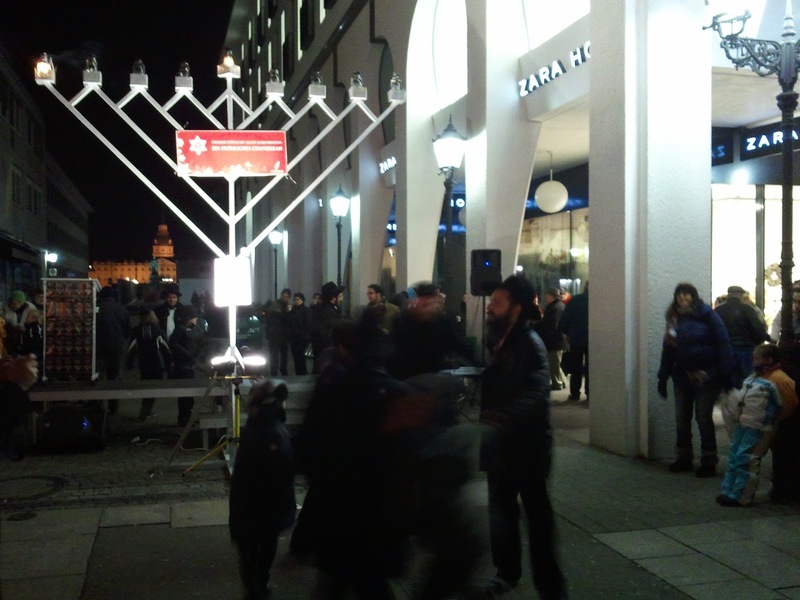 She felt that the Menorah was not close enough to the Christkindlmarket and the huge Christmas tree that is set up in the city centre. She asked me to check it out again this year. Jewish community of Karlsruhe (Juedische Kultusgemeinde) who had been against it and not the city government. 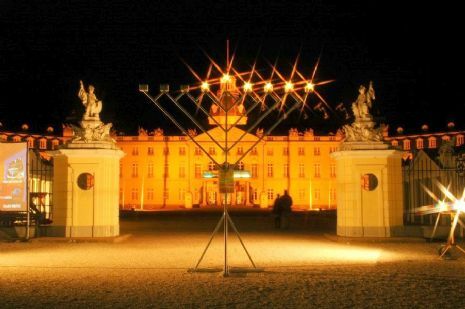 In 2006 the first public celebration of Chanukah took place right in front of the beautiful castle in Karlsruhe, about a quarter of a mile off the city centre. That, he felt, was rather picturesque but indeed was also too far from where the Christkindlmarket takes place. 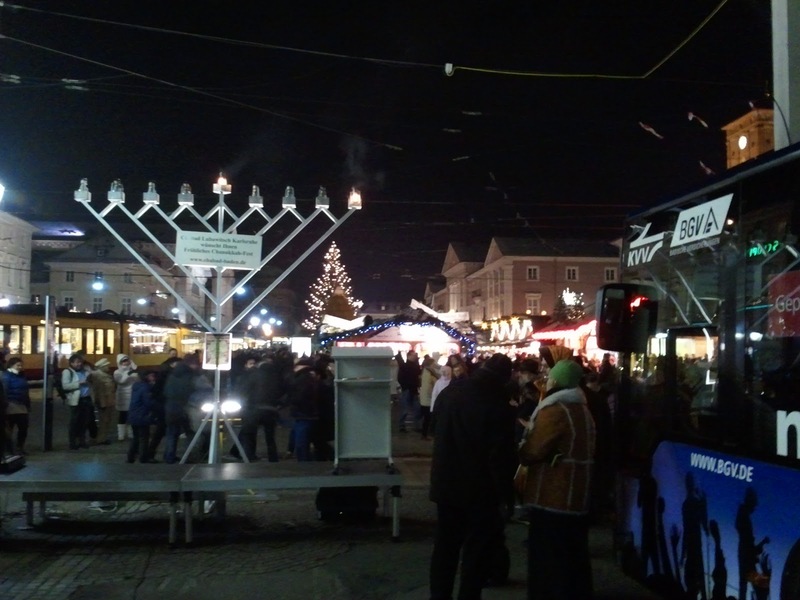 Two years later they could install the Menorah right next to the market place, in sight of the Christmas tree and in direct neighborhood to the Christkindlmarket. With that, Rabbi Mendelson says, he is completely satisfied. in the middle of German society. no matter where the Menorah is situated: It then will be just in the middle. And the day when "zoo-feeling" no longer carries meaning. When it just leaves the reader puzzling–that'll be the day. one day that zoo-feeling won't occur to people because such a sight will be too familiar. I can see that as well, William. Thank you!